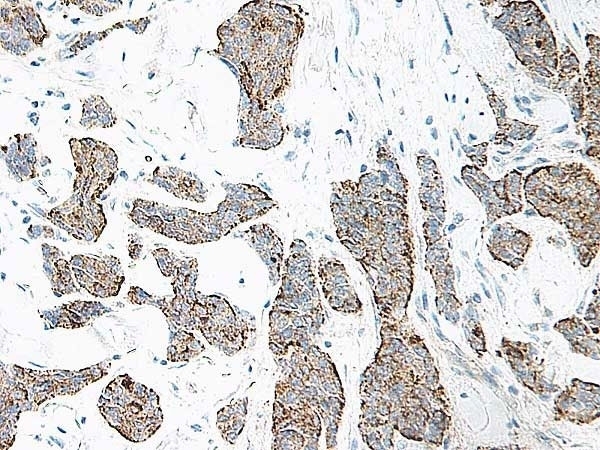 Rabbit anti Human Interleukin-17 antibody recognizes human IL-17 (Interleukin-17/17A), also known as Cytotoxic T-lymphocyte-associated antigen 8 or CTLA-8. Interleukin-17 is a homodimer of two 132 amino acid chains resulting oin a ~32 kDa disulfide-linked cytokine belonging to the IL-17 family (classified as IL-17A to IL-17F) which signals through the IL-17 receptor (IL-17R/CDw217). IL-17 is produced primarily by activated CD4+ T cells and induces a variety of target cells to secrete inflammatory cytokines, including IL-1beta, IL-6, TNF-α, IFN-γ, and granulocyte colony-stimulating factor, as well as synergizing with other inflammatory cytokines and agonists. The role of IL-17 in bone metabolism has become a focus area for studies into Rheumatoid Arthritis, in which levels of IL-17 are significantly increased and may contribute to bone destruction (Ziolkowska et al. 2000). 1 To yield one-half maximal inhibition [ND50] of the biological activity of hIL-17A (50.0 ng/ml). 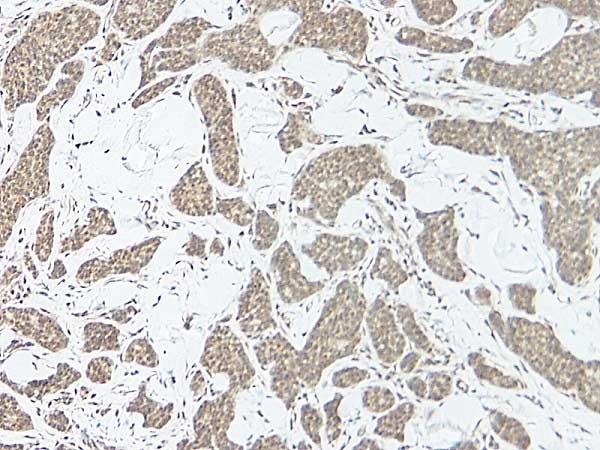 This purified human IL-17 antibody may be used in an ELISA with recombinant human IL-17 (PHP098) as the standard. This antibody may be used in Western Blotting under either reducing or non-reducing conditions with recombinant human IL-17 (PHP098) as the positive control. Parsonage, G. et al. (2008) Prolonged, granulocyte-macrophage colony-stimulating factor-dependent, neutrophil survival following rheumatoid synovial fibroblast activation by IL-17 and TNFalpha. Arthritis Res Ther. 10: R47. Gaffen, S.L. (2004) Biology of recently discovered cytokines: interleukin-17--a unique inflammatory cytokine with roles in bone biology and arthritis. Arthritis Res Ther. 6 (6): 240-7.